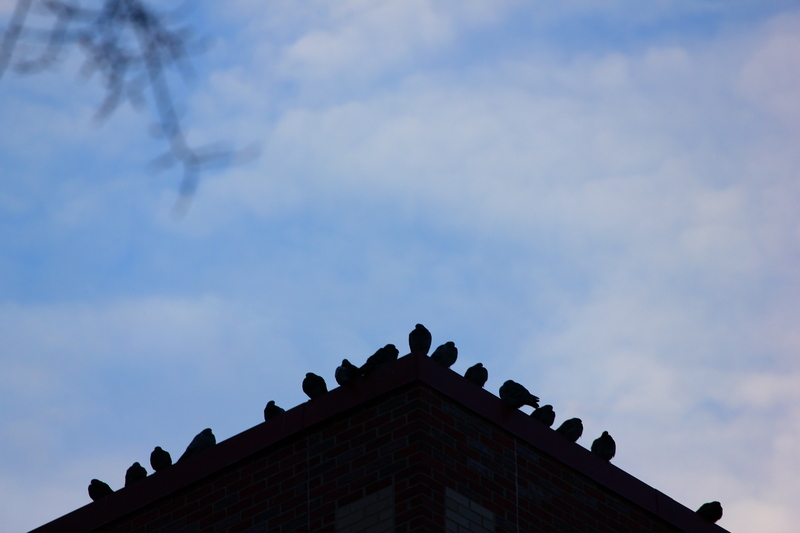 Birds perched along the edge of the Ottoson Middle School roof. December 20, 2011. 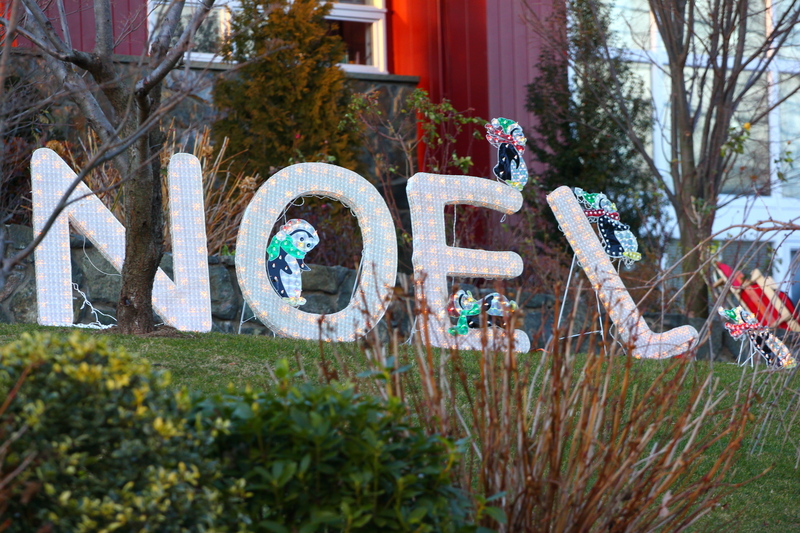 Large lit letters decorate the front lawn of a Morningside Drive home. December 29, 2011. 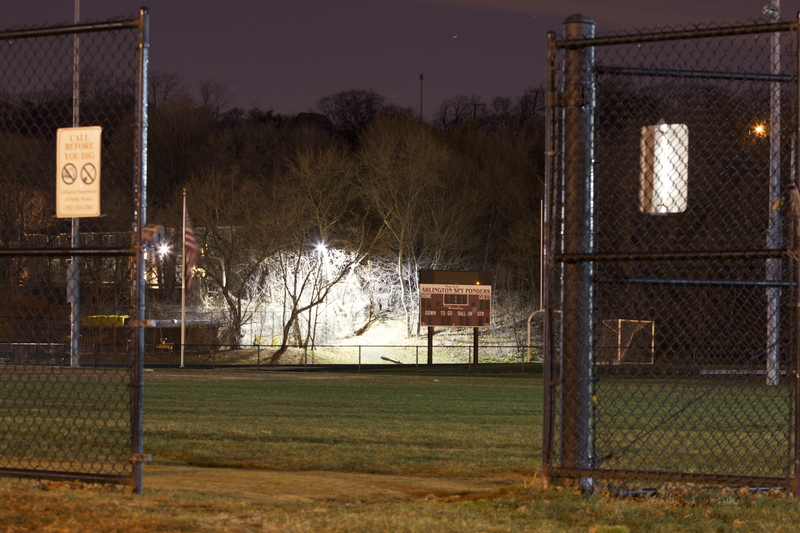 A view through the gate onto the baseball and football fields behind Arlington High School. December 17, 2011. 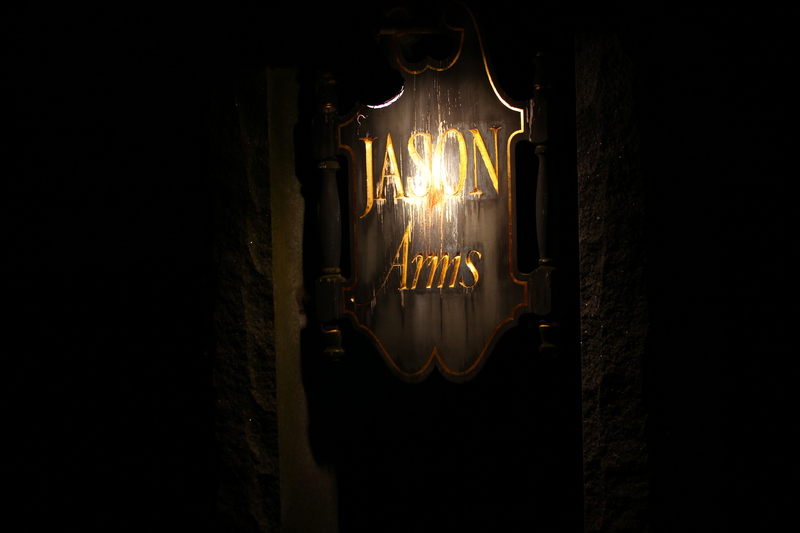 The weathered wood Jason Arms apartment sign on Jason Street. December 22, 2011. 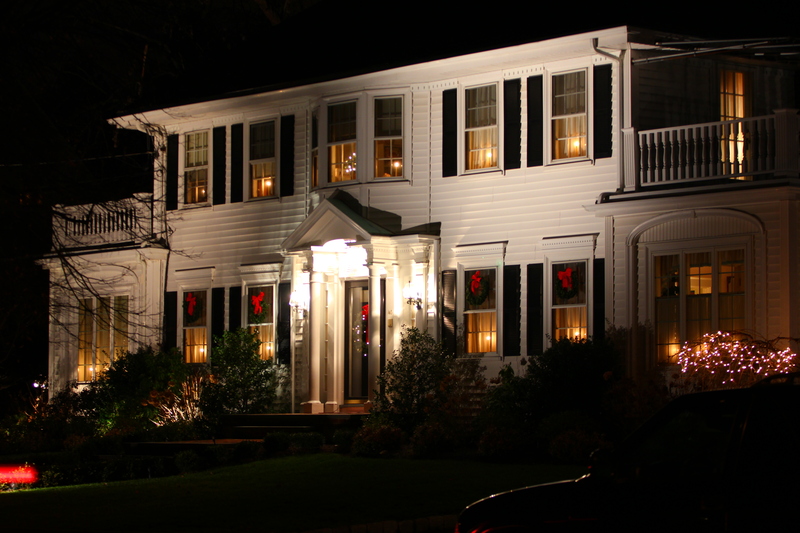 A Jason Street home lit up for the holidays. December 22, 2011. 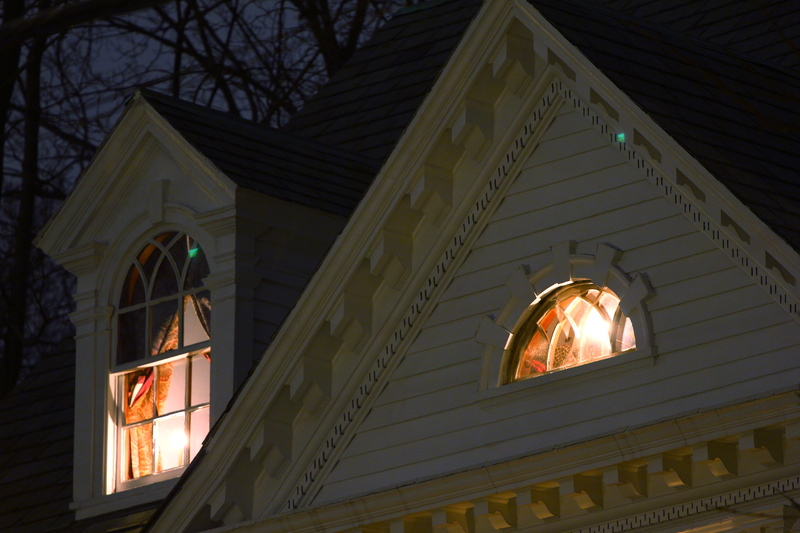 Electric candles illuminate the gables of a Jason Street home. December 22, 2011. 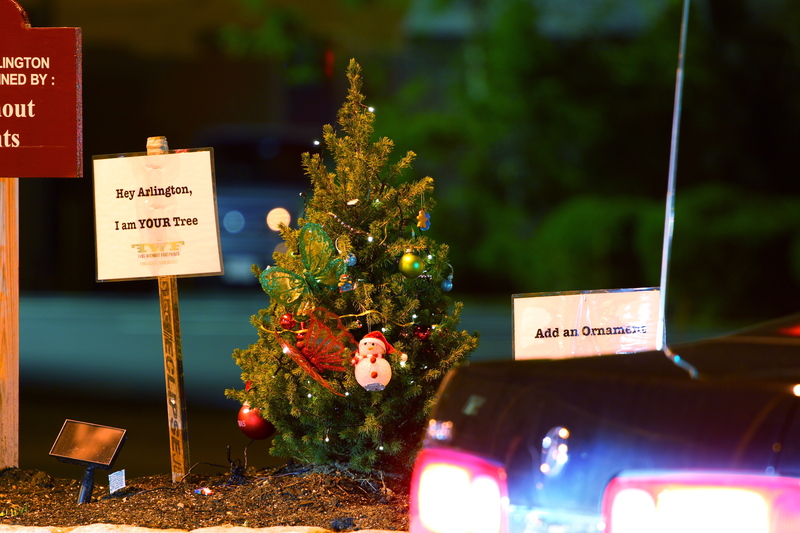 A small Christmas tree in the middle of Mystic Street adorned by town folk with various ornaments and solar powered lights. December 22, 2011.